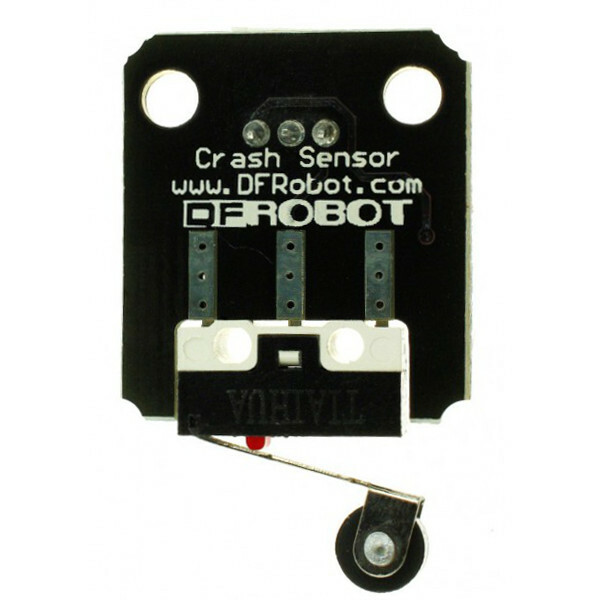 This convenient Crash Sensor Module provides a small micro switch for crash detection. It features a built in pull-up resistor to simplify the digital connection and an LED status indicator to make testing easier. 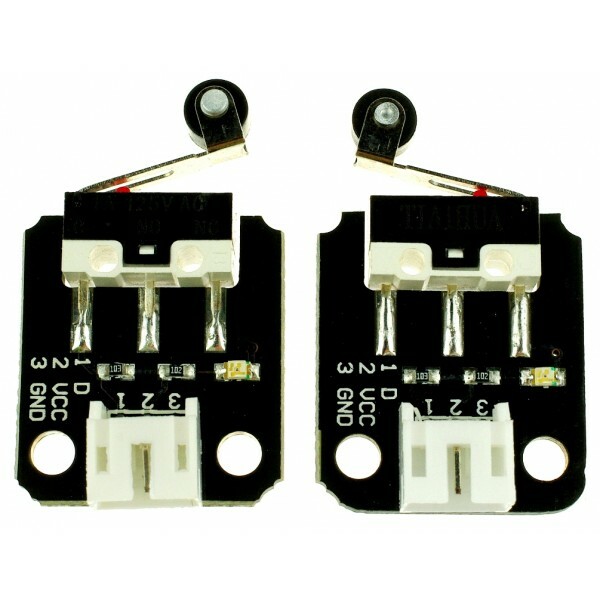 Two mounting holes allow easy placement onto your robot. 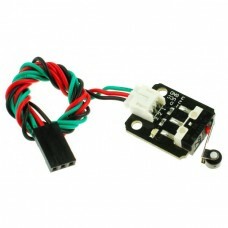 Connect the (VCC) and (GND) pins to a 5V power supply and the digital output (D) pin to an input on your controller. 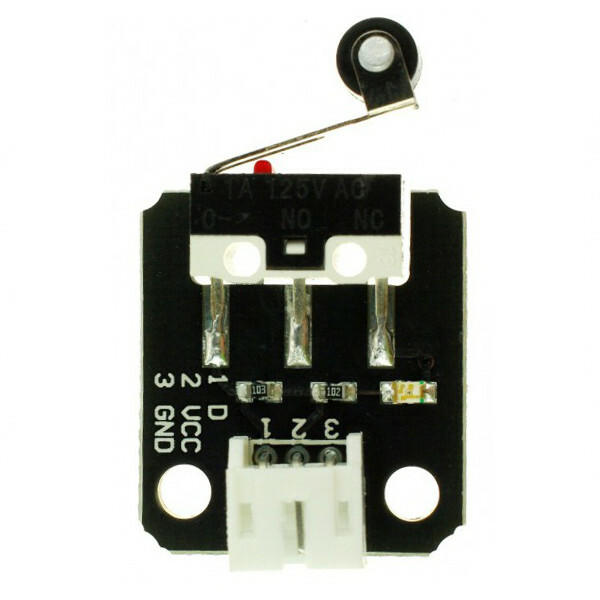 The output at pin (D) will read as high when the micro switch is pressed and low when it is not.